We are revolutionizing and streamlining an industry that, for most St. Louis businesses, is the main source of their income. Why do all of the research on credit card processors your own? Our experience as brokers allows us to conduct an analysis for you and compare the rates across many different processors, including First Data, Chase Paymentech, TSYS, Global Payments, and more. We work with all of the major processors, and we can find you one that will fit all of your needs of your specific business. Our team works for you 24/7/365 for all of your customer service and technical support needs, whenever you need it. Let us help you grow your business by finding you the best processor for your company, while you focus on running your business. We are credit card processing brokers for merchant services, and we are here to help you find the best method for your business’ success. We have no exit fees, so we are earning your business every day. If you like your current processor but do not have a local representative and would like one, please call us today and we will be happy to work with you! We guarantee our merchant services brokers will find your business the best processor fit and the most cost effective solution. We have been serving the St. Louis Metropolitan Area for more than 20 years for all credit card processing needs, and we know that most businesses take in 50 to 100 percent of their income through credit cards. Let us help you get the most bang for your buck. You can count on us to provide you with the best options and most affordable rates. We’ll also make sure your business is set up properly. Over the years, we have discovered what merchants like and dislike about the big banks and processors, so we’ve adjusted our business model to treat our clients the way we would want to be treated. For example, we offer Interchange Plus pricing, which is the fairest pricing model in the industry with flat and fixed margins, so you can rest assured you’re always get a fair deal. We also guarantee our clients 100 percent transparency, no long-term contracts, no hidden fees, and no surprises. We do not surcharge, but if you think you may be paying surcharges or just paying too much, we are here to help. 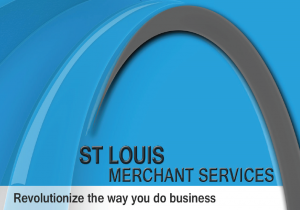 At St. Louis Merchant Services, we are committed to your company’s success.